One of the signs that Christmas is around the corner is that panettone sales start popping up everywhere. I love them and I love looking at the vast array of packages, each one more beautiful than the next. 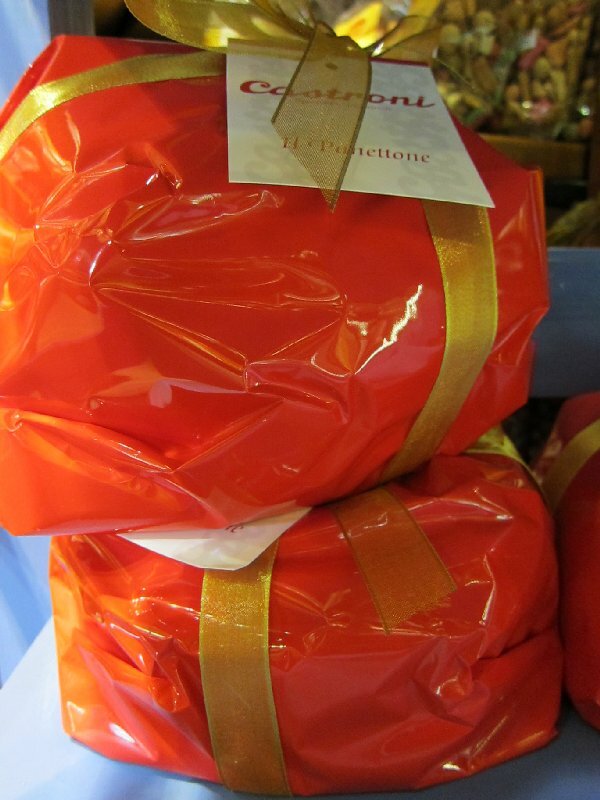 It’s true that Italians don’t go in for a lot of holiday decor, but they do love their exquisite panettone packages. No one really makes them at home anymore because although fairly simple the numerous risings render panettone making a lengthy endeavor requiring you to be on hand for eight to ten hours. 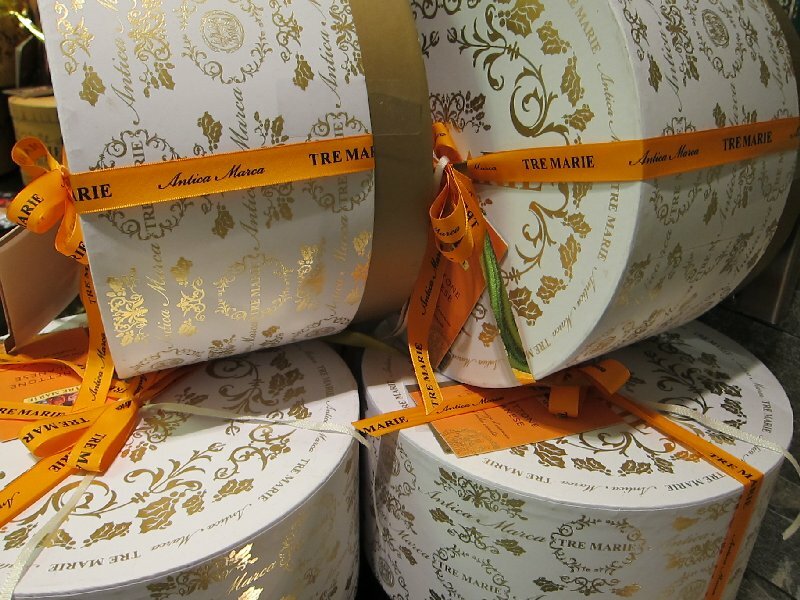 I didn’t do so this year, but I often make small panettone packages to give out as gifts. I use old 16 oz peeled tomato cans for baking tins and it works out perfectly. 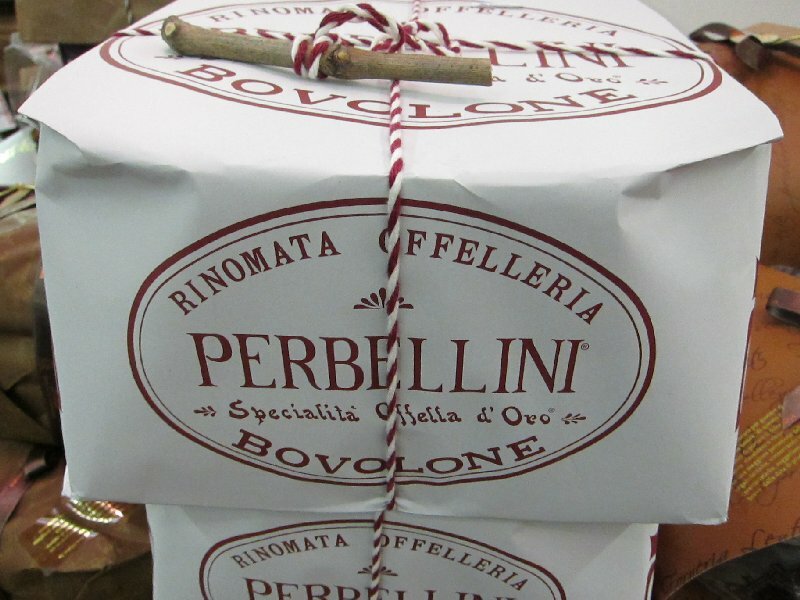 There is a constant changing of hands of panettone packages throughout the holiday season as whatever holiday party you attend it is de rigueur to arrive with a panettone in hand for your hostess. 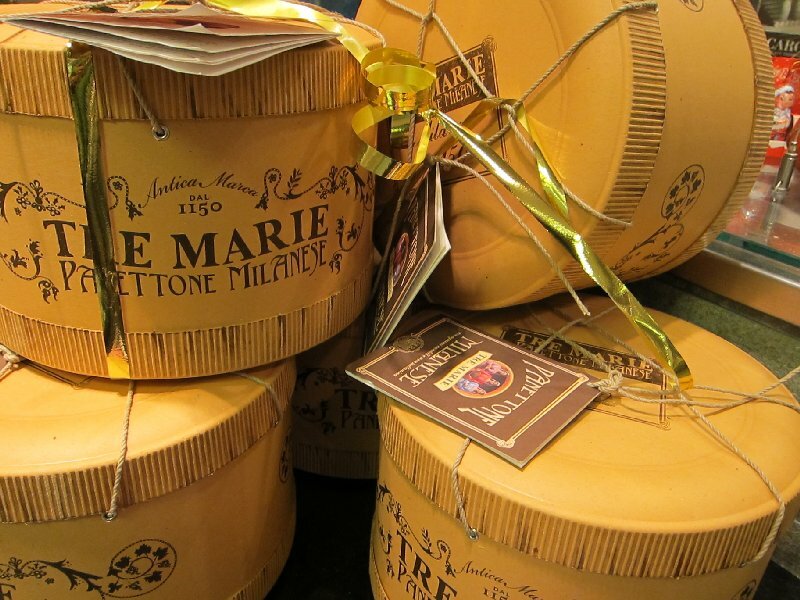 Tre Marie is one of the better known panettone makers in Italy. 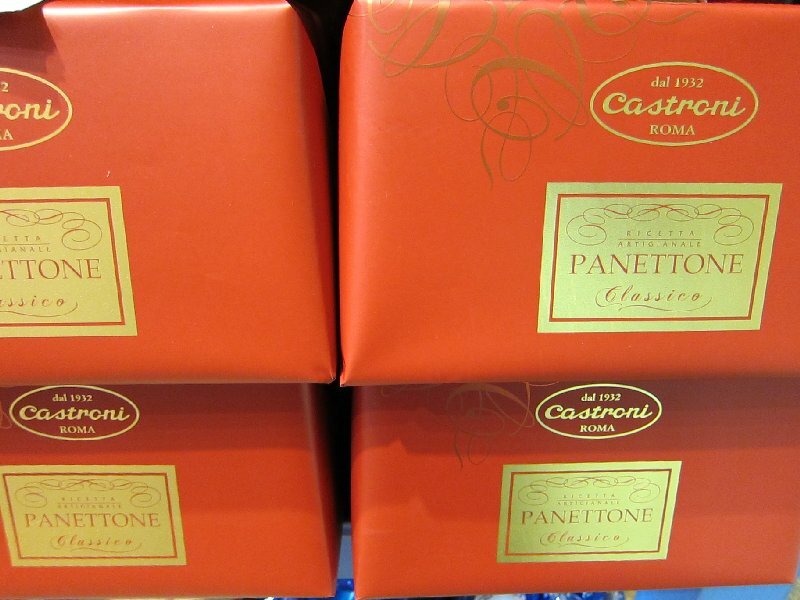 Many shops (such as the specialty food chain Castroni) either make their own panettone, or have them custom made. Local bakeries all make their own panettone and I enjoy offering up an artisanal product at my holiday table or as a gift to friends rather than a mass produced panettone. Do I like panettone? Actually, I do. Early on I envisioned the super sweet desserts like pumpkin and pecan pie as quintessential Christmas desserts. I’ve gotten over that and prefer the raisin bread-like panettone. 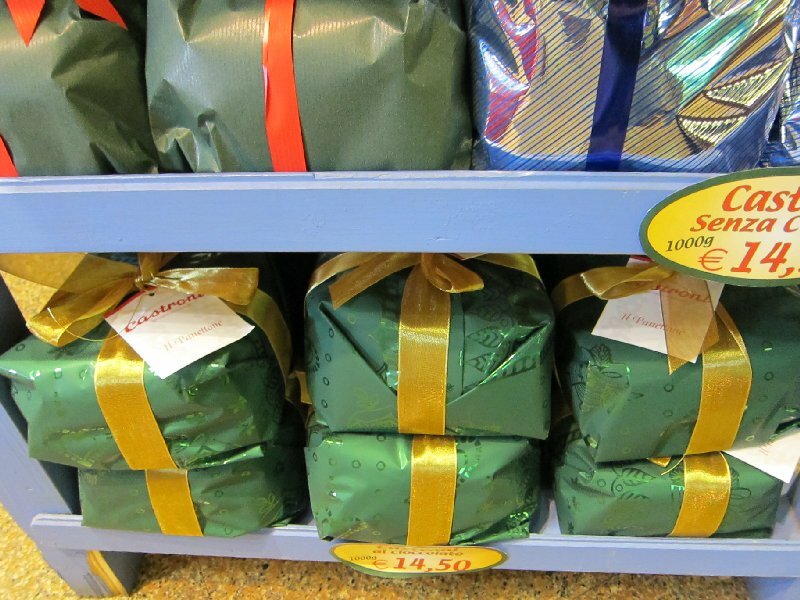 This year we’re in the San Francisco area for the holidays once again, but we’ve stocked up on three panettone from a top Italian bakery: Emporio Rulli. 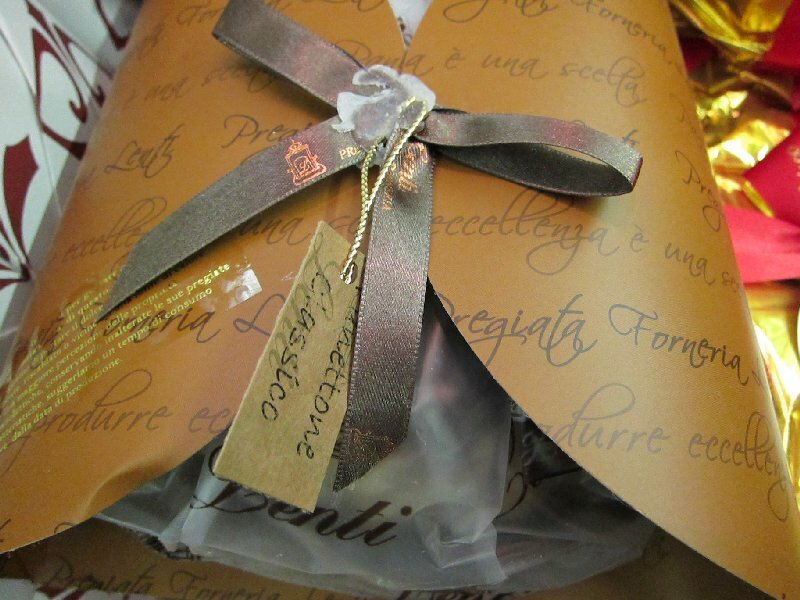 Whether in Italy or abroad you’ll never go wrong giving a gift of panettone packages to friends and family. And should you find yourself with a massive inventory of panettone post-Christmas they make the best french toast you’ll ever taste! Nice post. I read your post and I like it. You really give your valuable information and link. Thank you for sharing……….